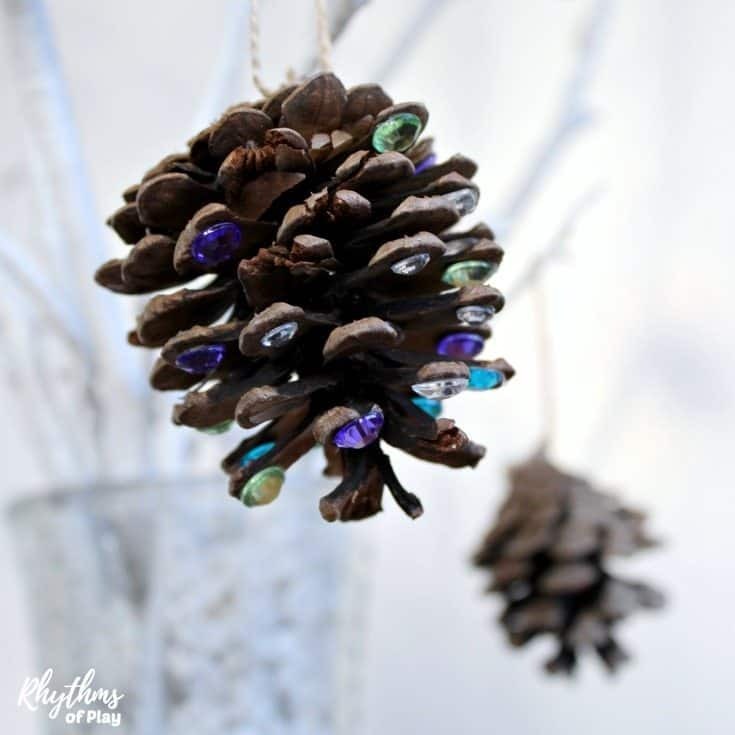 Add a little rustic bling to your Christmas tree with DIY rhinestone pinecone ornaments! An easy kid-made book-inspired Christmas nature craft kids and adults both enjoy crafting for the holidays. Please note: Rhinestone stickers are a choking hazard for young children under three years old. Please make sure your child is mature enough to handle small parts if you offer this Christmas nature craft. 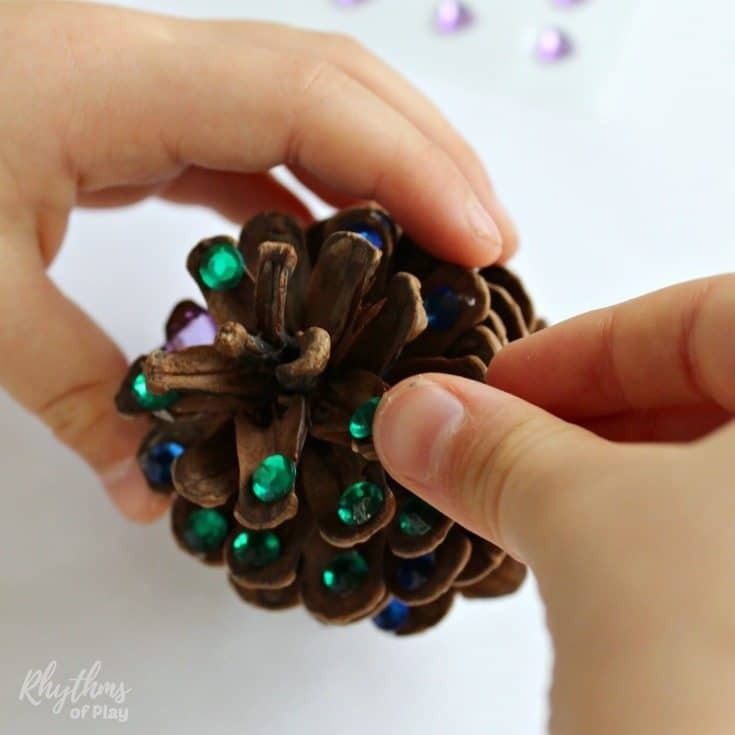 Invite your child to place rhinestone stickers on the scales of pinecones. 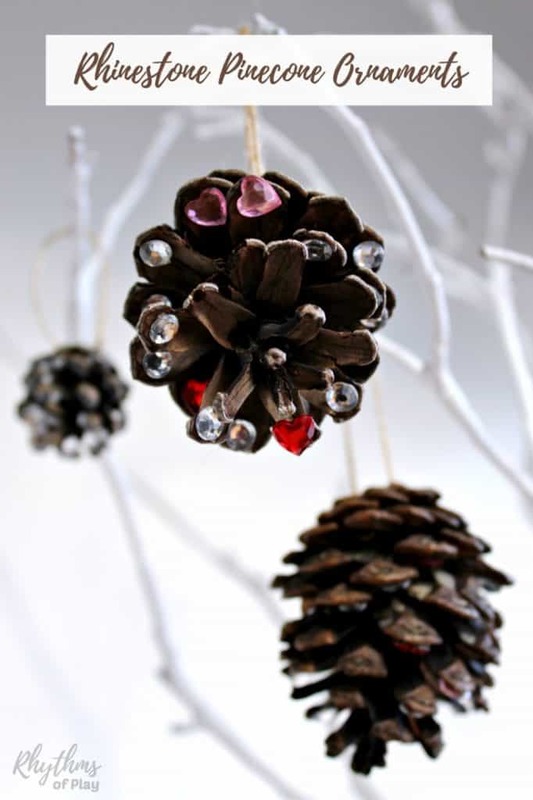 Use a glue gun to attach a wooden bead to the bottom of each rhinestone pinecone ornament. 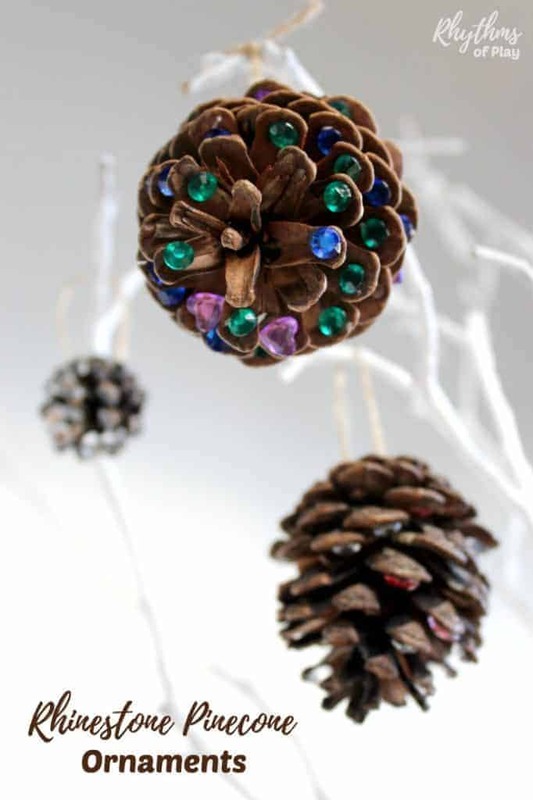 Thread a section of twine through each bead on the bottom of each pinecone ornament to make a hanger. My daughter and I like to make new Christmas ornaments every year. It’s one of the family Christmas traditions that we both cherish. Click HERE to see more of our favorite homemade Christmas ornaments. Make sure you pop over to have a look at all of our art and craft ideas for kids and teens HERE. Learn about Rhythms of Play HERE! This post is a part of the annual 10 days of a kid-made Christmas. To see all of the other amazing ornaments and gift inspired by children’s books click HERE! A few other Kid-made Christmas ornaments from top participating bloggers are listed below. Can you guess which children’s book inspired each craft? Ultimate Gift Guide with DIY and Readymade Ideas the Whole Family Will LOVE!